Since before the United States declared its independence from Great Britain, the Merchant Marines – civilians – have defended the freedom of the United States since 1775, and who executed the largest sealift ever during World War II. 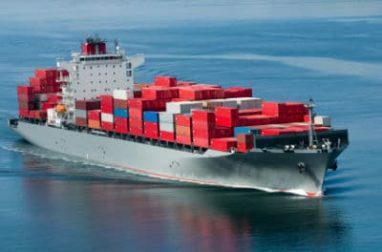 Observance of National Maritime Day on May 22 also honors the maritime industry and the benefits it brings Americans in terms of transportation, jobs, goods, and recreational opportunities. National Maritime Day has been observed since 1933, when a joint Congressional resolution decreed that presidents would declare May 22 National Maritime Day. What better way to honor the 238 years of work and sacrifice of mariners by hitting the water on your own boat? If you have an older boat and are ready to upgrade to a newer model, you can save yourself the hassle of trying to sell it and haggling for the price you think it should fetch. What you can do to save the headache is to see how your unwanted boat can easily be transformed into so much more when it’s donated to Wheels For Wishes. Not only does it save you time, money, and stress, but it also gets you a great tax deduction AND can help grant wishes for a local child with a critical illness in your area. You will feel great knowing that your boat helped to grant wishes for a local child. We make the most out of each and every donation, so even if you think your boat isn’t worth much; it can mean the world to a child. If donated boats cannot be auctioned off to new owners, they are recycled and reused to build new boats, so you are also contributing to the green movement and helping to create jobs. When you are ready to donate your boat, please call us at 1-877-431-9474 or fill out our boat donation form. You will not regret donating your boat to a registered 501 (c) (3) charity that benefits your local Make-A-Wish chapter. When you think of donations, you tend to think that you’re giving something away but not getting much in return. When you donate a boat (with a trailer) to charity, you are also getting a great tax deduction. We make it easy to donate a boat, and all you need to do is give us a call at 1-877-431-9474 or fill out our easy boat donation form. Both ways are incredibly easy and only take a few moments of your time. After you’ve told us you’re looking to donate your boat, we will take care of the rest. By donating it to Wheels For Wishes, you’ll know that your old boat is not only helping to grant the wish for a local child in your area, the tax deduction can help you purchase a new boat for next year!